great video. I have yet to ride a bakfiet or cargo bike, but I look forward to it! They are a lot of fun to ride and not hard to control even though it seems like they would be. 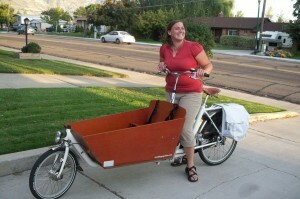 Our friend Jenni owns one and she is a pretty petite lady riding around two kids and a week of groceries.